It’s been so long since we had a credible positive vision of the future that the very concept of progress, an assumption that our culture shared for decades if not centuries, has almost vanished. The message of climate change that we’ve been getting lately is that if we work very, very hard, we might be able to create a future that is merely grim rather than disastrous. So when something comes along that looks like a magic bullet, we jump on it. All of us, on all “sides” of the climate “debate”, spread the joyous news on the Internet and with people we’re meeting for lunch — the solution is simple! A recent TED talk provided an intriguing example. The biologist and former Rhodesian parliamentarian Alan Savory, in “How to Green the Desert and Reverse Climate Change” promoted rotational grazing of large herds of animals as the solution. Based on his success in applying this strategy to large tracts of overgrazed, degraded grasslands in Africa and other part of the world, he went further to imply that all deserts (drawing vast red ovals around the dry regions of the world, covering most of the map) are explicable as a result of poor grazing practices. He goes further to suggest that ever-increasing “desertification” that humans have heretofore caused might be a significant factor contributing to observed global warming. And then he entices us with a vague claim that reversal of this desertification could be sufficient to reverse much or all of the ongoing anthropogenic climate change problem. His solution, supported by stunning before-and-after photos, is to manage livestock to replicate the ecological effect of herding animals, thereby maintaining rather than diminishing ecological diversity and reversing the process of desertification. (“Desertification” can be defined as “the process of fertile land transforming into desert typically as a result of deforestation, drought or improper/inappropriate agriculture”) (Wikipedia). So let’s take a look at what we know rather than what we wish. Savory might be a laudable land manager, but in regard to climate change he is on shaky ground. The dynamics of the advance and retreat of the world’s greatest desert, the Sahara, is an open question in climatology. There is ongoing study and debate over the mechanisms. It is clear that North Africa has had extremely dry periods in the (geologically recent, Quaternary) past without human intervention, but all the except the most recent 5,000 years tend to be during globally colder phases. Since this anomalous dryness is contemporaneous with the development of herding on a large scale, there is some circumstantial evidence at least that leads to suspicion that the vast extent of the great desert is to some extent anthropogenic. On the other hand, carbon modelers have a good idea of the sources and sinks of carbon on a global scale, except for the “land” term, which is a residual. However, aside from deforestation, that residual is clearly a net sink – the land is taking more carbon out of the atmosphere than it is providing, this largely due to “carbon fertilization”. In any case the imbalance is small compared to the fossil fuel flux which can be measured directly. None of this is to say that Savory’s claimed results are untrue (I have no reason to suspect that) or unimportant (they do match what I see going on in the Texas Hill Country, a large and highly valued area that is visibly stressed in exactly the ways he describes.) It’s just to say that on its face claiming an important global climate impact is grossly implausible. It also matches the tendency for the press and the public to focus on (and tenaciously hold to) overstated good news and overstated bad news. Climate-disruption naysayer Anthony Watt’s unbounded enthusiasm for Savory’s video, which he lauded as “a bridge in the climate debate” comes with his “strongest possible recommendation”. Consider, though, that Savory claims to be doing carbon sequestration at a potentially global scale. While I believe this is not entirely correct, Watts thinks such a thing unnecessary: an odd sort of bridge indeed! Of course, we are agreed that livestock management is better than overgrazing. But this hardly seems to narrow the gap between us very much on climate. Like it or not, industrial man has wrecked havoc upon the biosphere. [Savory’s holistic management] is not the only option, globally, for combating climate change. But it is the best option we have to restore the grasslands of the world. It is not appropriate everywhere, but the principles can be applied even in humid regions (see the Salatin’s Polyface farm). We cannot magically increase the population of wild ruminants to their pre-decimation levels over night. Even if we could, the process of removing man from the land we have taken would take even longer than breeding them! While I am all in favor of returning much of these grasslands to their former, pre-livestock condition, I think it will take time. Implementing HM globally is just one of many steps along the way to patching up this biosphere with the parts we have yet to eliminate. In short, Savory’s method won’t scale, and some ways he is substantially wrong. All that said, I’m in the market for magic bullets as much as anyone. One of the most unfair characterizations of naysayers is that climate scientists relish a vision of the future where we’ll all suffer! I personally would far prefer an easy, cheap, effective solution to a long list of difficult, expensive and relatively ineffective ones. I suggest that it is premature to reject Savory’s approach altogether. Consider that while his expertise is about livestock and ecosystems, his suggestion is fundamentally about biological carbon sequestration with the soil as a reservoir. Can we expand the world’s supply of carbon-rich soil enough to make a difference? This is hardly a new idea. In fact its earliest expression is due to Freeman Dyson; we may call it the Dyson Method. Some may recall how unimpressed I have been by Dyson’s comments about climate science, which have been astonishingly as rude and ignorant as some of those from the most over-the-top naysayers. You may also recall that this put everyone in a mood to mock Dyson as acting beyond his sphere of competence. But it turns out, in fact, that Dyson has a bit of credibility. He has at least two publications more or less related to climate science. Dyson, F.J. 1977. Can we control the CO2 in the atmosphere? Energy J. 2: 287-291. Dyson, F.J., G. Marland. 1979. Technical fixes for climatic effects of CO2. In Workshop Proc. 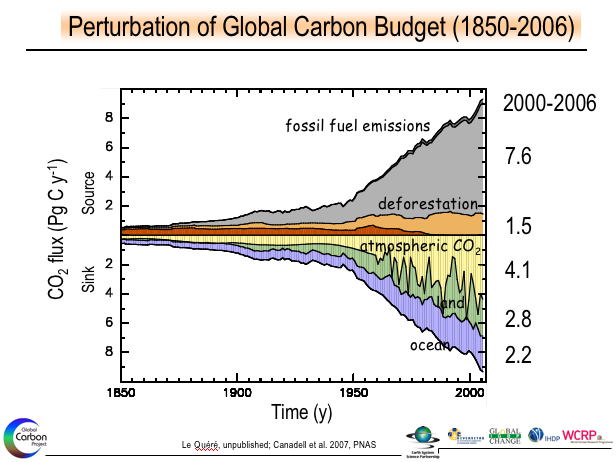 “Global Effects of CO2 from Fossil Fuels”, 1977 Rep. CONF-770 385, USDOE, Washington, DC: 111-1118. It appears that in the 1970s, Dyson concluded that if it were ever demonstrated that an excess of CO2 were a problem, the CO2 could be scrubbed from the atmosphere and injected into the soil. That said and published, he lost interest in the problem, and has been vaguely irritated by it ever since. Does he have a point? Can artificially enhanced biological processes remove CO2 from the atmosphere and sequester it in a layer of artificial soil? Is this feasible? Per capita emissions are one ton per year, and per capita land surface area is about 2.5 ha. So we need to produce about 400 kg carbon soil per hectare or 4 decagrams per square meter. Suppose soil has twice the density of water and is 10% sequestered carbon (I am just guessing at the latter). Then unless I have slipped a decimal point, we are talking about an extra four centimeters of soil per century in the global mean to balance contemporary emission rates. Is that a bad thing? In practice this won’t be evenly distributed, of course. It would require a massive deployment of resources. But as a project it seems not outside the realm of feasibility. But unlike any other carbon sequestration project it would produce a desired end product in itself – more soil rather than less; a reversal of erosion. As I think about this idea I come up with a vast array of complexities, but I’ve yet to see anything insurmountable. Soil sequestration provides not only a positive focus to match that of renewable energy, but a rural/agrarian one as well, which can relieve the culture war aspect of the problem. Savory may not have the magic bullet at the scale he suggests himself, but he may be pointing in a very fruitful direction that has not had enough attention. Maybe there’s a bridge in there somewhere after all. UPDATE: Savory’s specific approach seems drastically less credible in the light of what appears to be informed criticism. The difficulties in sorting wheat from chaff in science-relevant policy are just reinforced. We still haven’t spotted a convincing argument against increasing the size of the soil carbon reservoir as a first order important climate mitigation strategy. It just seems increasingly likely that Savory has no idea how to do that. You really should read a bit more about Dyson's history in climate science. Perhaps you would then apologize for some of your remarks about him, but in any case you could then move on and actually analyze this without emotional reactions clouding your mind. Quantitatively, you are probably correct that land management cannot be a silver bullet solution to climate change. It does, however, have the potential to be a potent partial solution. Combined with others of its type, it should give you reason to be a bit less lachrymose. Is there anything radically new here? Surely sequestering carbon in the soil has been discussed aplenty for years. Biochar for example, which is at least realted, has raised interest. But it isn't cheap or easy and those doing it don't get the direct benefits of the CO2 sequestration - the other benefits probably don't make it worthwhile on their own, or at least aren't going to drive the massive culture change in agriculture it would require. And Freeman Dyson's language and tone don't make for reasonable dialogue. If, as Tom Fuller suggests, he has something to add to the debate then he should do so in such a way that doesn't inspire contempt for his viewpoint. He hasn't, in my view, actually said anything new, he has just said things that others were already saying in a way that made them seem unreasonable. Possibly the same could be said for Alan Savory, though to be fair I haven't watched his talk yet and am only going on the reaction he has inspired. If this is being sold as a radical new solution or as silver bullet then it's clearly been oversold and shows little respect for the efforts that others are already putting in in related areas, to understand and implement these ideas. Tom, much as I appreciate your turning over a new leaf and taking a more or less constructive stance, you have an odd way of agreeing with a person. Dyson has been gratuitously rude to climate science and flatly disengaged. I'm suggesting his idea deserves a fresh look anyway. But he hasn't been a particularly effective advocate for it. At the global scale there is nothing radically new. But as I think about the problem I find myself unable to come up with a maximum carbon capacity for the soil. That doesn't mean there isn't one. However, until somebody convinces me that I'm missing something I am willing to contemplate the possibility that there is an important strategy that is being undervalued. Carbon emissions are not a problem because in a few years genetic engineers will develop “carbon-eating trees” that will sequester carbon in soils. Ah, the famed Dyson vision thing, this is what we came for. The seasonal cycle in atmospheric CO2 shows that the lifetime of a CO2 molecule in the air before it is exchanged with another in the land biosphere is about 12 years. Therefore if the trees could simply be persuaded to drop diamonds instead of leaves, repairing the damage to the atmosphere could be fast, I suppose. The problem here, unrecognized by Dyson, is that the business-as-usual he’s defending would release almost as much carbon to the air by the end of the century as the entire reservoir of carbon stored on land, in living things and in soils combined. The land carbon reservoir would have to double in size in order keep up with us. This is too visionary for me to bet the farm on. Personally I am not comfortable making such a large bet on 'future technology'. Having said all of that if you have some examples of Dyson's history in climate scient that you wish to share I would be very interested in seeing them. Dyson could well ask himself why we don’t have kilometers-thick layers of organic carbon right now at the surface, resulting from a few billion years of outgassing of volcanic CO2. The answer is that bacteria have had about two billion years to evolve so as to get very, very good at combining any available organic carbon with oxygen. It is in fact extremely hard to put organic carbon in a form or place where it doesn’t get oxidized back into CO2 (Mother Nature thought she had done that trick with fossil fuels but we sure fooled her!) And if you did somehow coopt ten to twenty percent of the worldwide biosphere’s photosynthetic capacity to take up carbon and turn it into a form that couldn’t rot ever, you’d have to sort of worry about how nutrients would ever get back into the ecosystem. These comments critical of Alan Savory by Chris Clarke are worth considering. Not because the conclusively demonstrate that Savory's idea has no value, but because they demonstrate that areas that could be restored by herds of grazing animal are limited. The notion that bare, unvegetated soil in the American desert is an evil to be avoided flies in the face of everything we know about desert soil science. Bare soil in the desert includes desert pavement, a self-regulating system that controls air pollution. It includes alkaline crusts and dry lake beds, both homes to unique assemblages of organisms. Seemingly bare soil may hold seed banks of diverse assemblages of annual plants, some of which are limited enough in extent that covering the soil with grassland -- even if you could do so -- would push them toward extinction. And sparsely vegetated soil is crucial for the survival of many animal species, including desert tortoises, fringe-toed and horned lizards, and other animals that actually belong in the desert far more than do cattle. The idea that grasses must be eaten by livestock to perform a valuable ecological function is similarly absurd. Grasses provide food, shelter, and even construction material for hundreds of desert animals ranging from jackrabbits to tiny insects, each of which is eaten in turn by other animals. Send in a wave of cattle to crop those grasses and we've diverted that ecological productivity to our own ends, depriving the local wildlife of food and habitat.Bunchgrasses can live for centuries if untrampled, providing year after year of ecological benefit to hundreds of generations of wildlife. Savory, like many grazing advocates, seems to regard such ancient bunchgrasses as decadent: In Lynn Jacobs' 1991 book "Waste of The West," Jacobs says "Savory claims like most ranchers that old growth range plants are 'useless' and 'decadent.'" But, adds Jacobs, "like tree snags in forests, standing dead range plant material is itself an important, natural environmental component." This is, of course, completely false. Cryptobiotic soil crusts are a crucial underpinning of old-growth desert habitats across North America, and indeed throughout much of the world. If one wanted to do a quick and dirty estimation of where well managed grazing could improve the landscape we could look at the area of degraded grasslands that once supported large herds of grazing animals. This isn't a small area but it isn't large enough for this to be a real climate solution (of course there are many other benefits of rehabilitating grasslands). Quirks and Quarks has a good primer on biochar from 2008. Conclusion is that biocar can make a significant dent in atmospheric CO2 which is very good news but means that this is not likely to be any sort of magic bullet. More like a small part of some silver buckshot. I am not willing to bet the farm either. None of this causes me to let go of the opinion that carbon emissions need to plummet as rapidly as feasible. But I am not willing to utterly ignore the possibility that the land carbon reservoir can be dramatically increased. As Dyson points out, on a per square meter basis the carbon sink needed is not absurdly ouut of reach. It seems that this prospect hasn't been given a fair shake. My suspicion is that the steampunk vision of pumps and pipes and underground sequestration of gas has some support from the oil sector, and that more biocentric and dynamic ideas of where to put the carbon haven't been competitive. Of course Dyson himself hasn't helped. If Savory shakes this situation up a bit and forces a second look he may be doing us a service. It seems likely that the thicker biotic layer will have to be in dynamic exchange with the rest of the earth system rather than sequestered in a strict sense. That doesn't disprove the pudding. When the trees mature about 25% of the above ground carbon can be converted to biochar. If compressed into dense briquettes these will last underground just like natural coal. A little link dumping too, starting with permaculture stuff since it was the UK's permaculture head who was first to talk to me about soil carbon sequestration about six years back. Via here and Lester Brown's book I see there's a carbon management and sequestration centre at Ohio State University. Maybe we could email them and ask them to comment? "Only research trial", and "any land" don't belong together. This is overselling plain and simple. But it doesn't mean that this wont work on "some land". 1) J Environ Qual. 2008 Mar-Apr;37(2):663-8. Storage and dynamics of carbon and nitrogen in soil after grazing exclusion in Leymus chinensis grasslands of northern China. Wu L, He N, Wang Y, Han X. The Tonto National Forest tried Savory's system east of Phoenix, AZ in the Boneyback grazing allotment back in the 1990's after a local rancher attended a seminar about it. They decided to give it a 6-10 year trial. After three years the landscape was so denuded and bare they ended the experiment, and to this day the area is badly scarred. Thanks. Can you provide a contact or a link to an article about this effort? Similarly, can anyone provide contacts or links to a specific local success story for Savory's approach? Also see the comment by Local Flavor on blog post http://www.inexactchange.org/blog/2013/03/11/cows-against-climate-change/ "I personally know several neighboring farmers here in rural Virginia who have adopted Allan Savory's Holistic Management Planning method over the past two years. 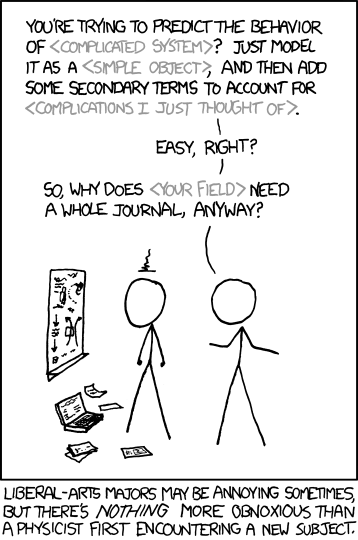 ..."
Google Scholar gives about 14,600 results for the search terms "intensive rotational grazing" (without quotes) and about 976 results for the three-word search term (in quotes). General comment: My opinion is (1) like any zealot Savory oversells his product and (2) too much of the discussion of what to do about climate change involves arguments over whether something is The Solution (in contrast to a solution, more precisely, part of a solution). Savory's analysis and approach seems reasonable. The American Great Plains were probably more productive, constituting a carbon sink, when roamed by huge bison herds than after the herds were destroyed in the 19th century. "Modern" agriculture is a carbon source for the atmosphere and therefore requires appropriate changes. The flagship report of the German Advisory Council on Global Change at http://www.wbgu.de/en/home/ provides some breakdowns of the sources of atmospheric carbon. The real questions to me are (1) under which conditions (where, wet/dry annual cycle, etc.) does intensive grazing work well and (2) where are the key factors relating to success or failure (e.g., "bunching" the animals, moving the animals, etc.). IMHO, there isn't one The Solution. There are many approaches that contribute to a solution. Desertification undoubtedly contributes to global warming: reduced soil carbon per unit area, reduced water retention per unit area, reduced biomass per unit area. Stopping desertification would contribute to solving the climate problem. Even better, reversing desertification would contribute more to solving the problem. I think contributing to one or more parts of a solution is better than arguing and waiting for the Silver Bullet. Good summary above. I think Salatin's doing Savory's method best -- but that's a small farm, intensively managed -- not a large grassland divided into paddocks for rotation, which also takes a lot of management. One thing worth mentioning -- somewhere in Savory's early work he comments that before firearms, grazers would gather in large dense groups and were well defended from predators by that dense packing. Once firearms came along, grazers survived better when their parents tended to scatter widely across the landscape. Domesticated grazers also tend to scatter (and to eat only the tastiest plants, leaving the low-value stuff). So by packing grazers into small paddocks and rotating them often, Savory's method attempts to recreate the behavior of herd animals. I had this recommended to me 20 years ago when I went looking for ways to get topsoil back onto a heavily damaged post-forest-fire mountainside, so I read a lot about it. Wasn't workable, but interesting. It might be interesting to see whether national parks, where firearm hunting is supposedly not happening, have herd animals that graze in denser groups. In evaluating Savory's approach, please bear in mind that management changes dramatically with the brittleness of the environment. In Virginia (think Polyface Farms), trees will literally grow in your gutters if those gutters are not routinely cleaned. Any cleared area will automatically sprout and grow trees if those trees are not cut back. A dead tree will quickly fall over in the forest and attacked by termites and other bugs. In South Dakota, where we are now ranching, a dead tree will often remain standing for years, we struggle mightily to get a tree to grow, and we don't have termites. Rainfall, forage production, and management are much different in the two areas. Also bear in mind that Savory's approach can lead to terrible results if it is not correctly understood and/or if it is improperly applied. "Savory proposes using the single most destructive force in the history of western North America to heal western North America. Were he alive, even George Orwell would be embarrassed. Stunningly, that’s not all. Savory also claims that a primary contributor to climate chaos will be used to reverse climate chaos. And, just to clarify, people are taking seriously Savory and his ideas." I first became interested in Allan Savory's approach to managing a farm when I filmed a workshop here in Central Virginia sponsored by Holistic Management International. Like any concerned person, I was looking for positive solutions to alarming reports about the effects of climate change. I sat through classroom presentations and farm walks, and learned the principles of Holistic Management for the first time. What impressed me the most were the farmers and ranchers themselves. These were landowners who decided to go against conventional approaches to try something new - a rarity among farmers, the most conservative and change-averse group I know. One after another applied the planning method that goes way beyond how you move your animals around your land. They started with identifying the goals they wished to achieve in a long, multi-year time frame. Things like "be able to go on vacation", and "put my kids through college", "increase my productivity", "improve animal health" to a specific level, "pay off debt", "cooperate with neighbors to share resources" and so on. Then, by a careful analysis of their property - its characteristics, plant species, carbon level, pH level, an inventory of equipment, income/loss statement, etc. They developed a plan to achieve those goals. When Allan Savory speaks of mimicing nature, he means to try to take all the interrelated elements into account as an interdependent system rather than the common "sum of parts" approach where every element it looked at as a separate entity to be attacked. Underneath this planning and management approach is the implicit understanding that we to not have control or awareness of all the complexities found in nature, but to enable us to find ways to correct when we see our approach is not working. To reduce Holistic Management to moving cows around is a gross oversimplification. My neighbors here in Virginia who are practicing Holistic Planning and Management on their farms are continuing because they see evidence that their efforts are succeeding. They don't know why their grass is greener, lusher, and more nutritious (higher Brix) as their carbon numbers go up - they see their grass remain green during dry periods then their neighbor's pastures are brittle and brown - they just keep making adjustments to their plan to allow for changing conditions. They also cannot scientifically quantify how much their animals are healthier, but they are able to raise more animals on the same land, see faster weight gain, lower incidence of pink eye and other maladies, see higher fertility and how their animals just look healthier. Science is being used in the Ag schools and government extension services here in VA, but HM farms are not taking their advice - put down lime, spread chemical fertilizer, sow seeds on pastures, grow and cut hay, grow corn and make silage for fodder. HM farmers here have sold their tractors and hay balers, converted corn fields to pastures, storage sheds sit empty, fuel costs are lower, and they're getting top retail prices for their meat and dairy. Can science explain how this success is happening on real farms with real animals and real family farmers who are better off financially and environmentally? Rather than armchair arguing why don't we visit places where Holistic Management is being practiced and see for ourselves. If HM doesn't achieve the carbon removal Savory says it can, well then it's too bad for us, because according to James Hansen and Bill McKibben we're already doomed from the amount of carbon in the air. Trackback goes to a probably unauthorized aggregator. The article is best seen at Slate where it belongs. The link to here is appreciated but a bit skewed. It seems to call me "an ecologist" which I can't seriously claim to be. And the question was whether it scales as a carbon sink, not as a response to desertification. As you can see from the above, I was sympathetic to the idea of a desertification response when I wrote the bulk of the article, and subsequently came to question even that. Freeman Dyson does not seem to be reliable on climate. As I understand it he's a hawk and a technocrat. People might be interested in the review linked at end. I hear he's brilliant and fascinating. Pursuing my fool in where angels fear to tread thing, I was very interested in the idea that planting deep rooted grasses/grains would sequester carbon. I've heard this from several sources, but it finally penetrated my sometimes thick brain. There are a variety of planting options that should be pursued so sequester carbon, reforestation and greening the desert. But globally the reverse is happening. So tragic. Oops, I completely forgot to plug biochar. From my gardening experiments you can safely have 30% vol of soil as biochar. More has increased risk of root rot for my favorite Malva Alcea flowers due to high water holding capacity (pots start pumping water from below). And of course there's the risk of soil getting attractive as fuel. Producing biochar would be trivial and economic, if anybody were interested (*) in serious economics. Just construct a serious wood pellet home heating system that waives < 20% energy as char. The fossil fool's cost of one metric ton would be < -300$. Yes, minus. You don't even need a carbon tax. (*) Here is a working German woodgas cogeneration unit. Still too large and expensive for single home use. They will scale it down. Of course the char needs to be preloaded with nutrients: Use e.g. to filter CAFO cesspools. In the Roman empire they would have collected human urine: Carbonium non olet. Biochar for example, which is at least realted, has raised interest. But it isn’t cheap or easy and those doing it don’t get the direct benefits of the CO2 sequestration – the other benefits probably don’t make it worthwhile on their own, or at least aren’t going to drive the massive culture change in agriculture it would require. Nope. Agricultural benefits (if done right): Great water retention. Great cation exchange capacity i.e. nutrient retention and exchange. Great to quickly switch to organic farming from industrial farm "soil" (these depleted soils need many years to return to serious humus quality). The review is funny. Exactly my hunch. Dyson might be a math genius, but as a natural philosopher he is dwarfed e.g. by said reviewer. 1) the classic physicist delusion of understanding everything just because he understands (most of) the fundamental forces. 2) the cornucopian supertechnologist who can't accept his dreams are not going to get true - for such trivial reasons like limitations of the natural world. Martin, would greatly appreciate an article from you or someone you trust on this subject. Why "only once"? I have been scratching my head about whether there is a maximum amount of carbon in the soil. The first thing we need to do is put the soil we have lost back, but that is small compared to the carbon excess in the atmosphere and oceans. What prevents us from keeping going? i.e., what prevents what in the broadest terms could be called Dyson's solution from saving our sorry backsides? That's really the question I'd like answered. I've indeed been thinking for some time about doing a biochar post for JB's Azimuth project. But I haven't even updated the Biochar and Terra preta pages in the Azimuth wiki yet: They have good links to research articles, but the political derailing Copenhagen 2009 needs more to say. And I'm not up to date with latest research. E.g. I heard there's some recent paper on steppe/prairie soil with lots of natural biochar - settling some biochar stability questions - but I haven't yet found it. This seems not so easy. The problem seems to be to make the fungi return, which can take decades, if ever. Industrial agriculture makes the soil shift to bacteria dominated soil life, with less "glue" to hold water and nutrients. I need to meet my organic farming friend again, who has inherited a standard farm with very mineralized soil. After 10 years he is not yet satisfied. Alas he's not very scientific. The azimuth project is a very good thing, and John Baez is P3-friendly, so perhaps we can kill two birds with one stone. I am happy to provide editorial assistance for non-native speakers with something useful to say. It's the content that matters. That said, I've noticed rather little in your writing that could not pass for idiomatic English. Hi, I think that regardless of technique - regenerating of global soils is essential and the methods as diverse as each hectare of land is, regarding soil structure, plant and animal species, water etc. Developing farming methods and carrying capacities that are holistic and more in tune with natural rhythms and carrying capacities is essential. Allan Savoury's method may work in one region while other methods elsewhere, reflecting the uniqueness of every patch of land in soil structure and form etc It takes people who are willing to carefully observe and experiment, as many of our forebearers did, to find that natural balance. This will also with a simpler lifestyle and diet reflecting local and regional species. The more people we have on the land, the closer to nature we become and the quicker we begin to realise that humans are by no means above nature, but need to find the balance and rhythm of each unique ecosystem. A further dampening of unalloyed optimism about (or cynical exploitation of) Savory's ideas at RealClimate.